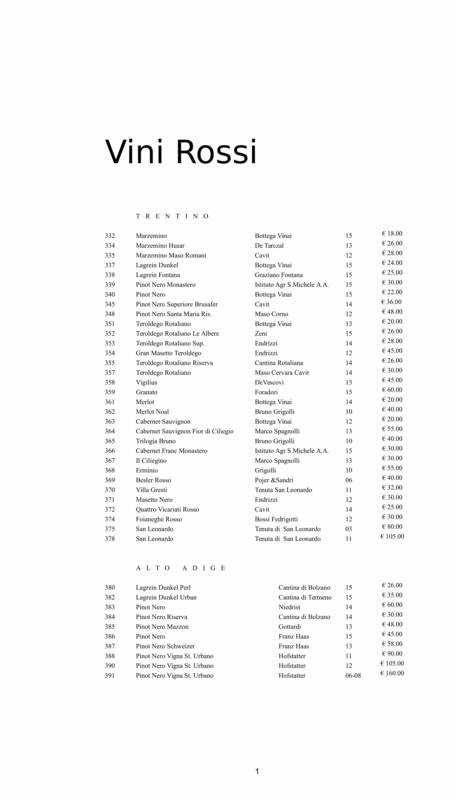 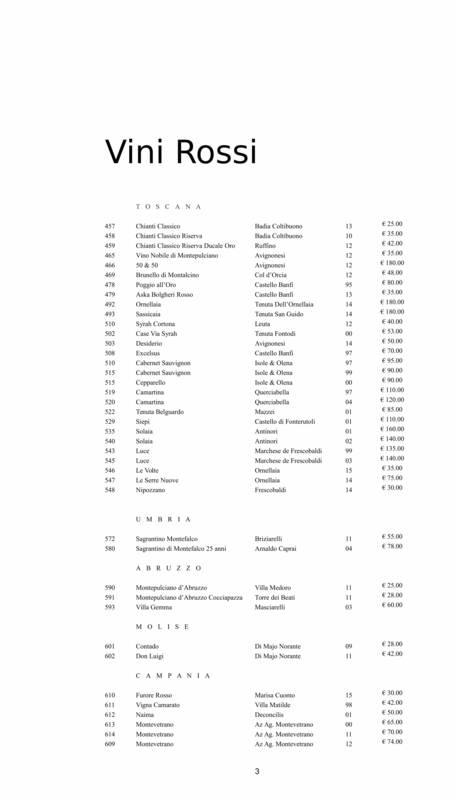 The long list of wines you find on the blackboard at the entrance of the Restaurant is just a foretaste of the treasure that belongs to the wine cellar of Scrigno del Duomo. 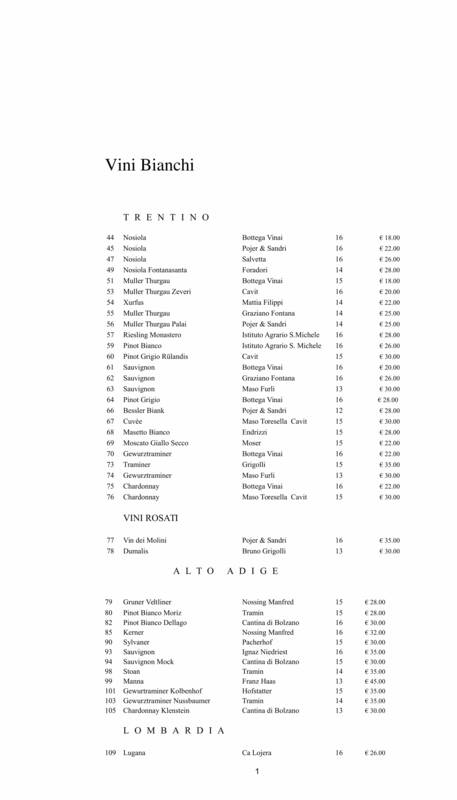 With over 450 labels, Scrigno del Duomo Restaurant offers the best selection of red, white and sparkling wines you may find in Trento. 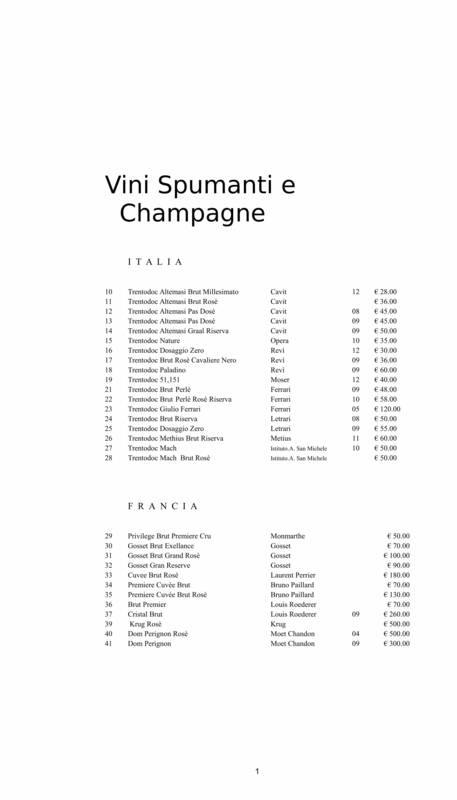 We are particularly keen on the selection of local sparkling wines such as Ferrari, Cesarini Sforza, Cavit and Rotari. 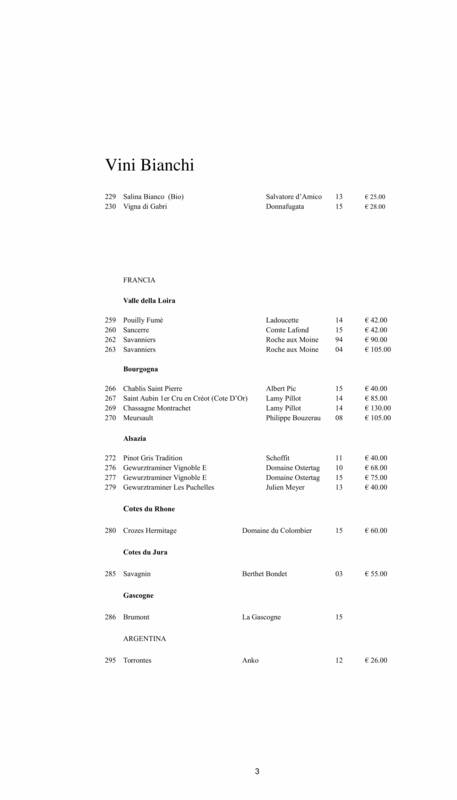 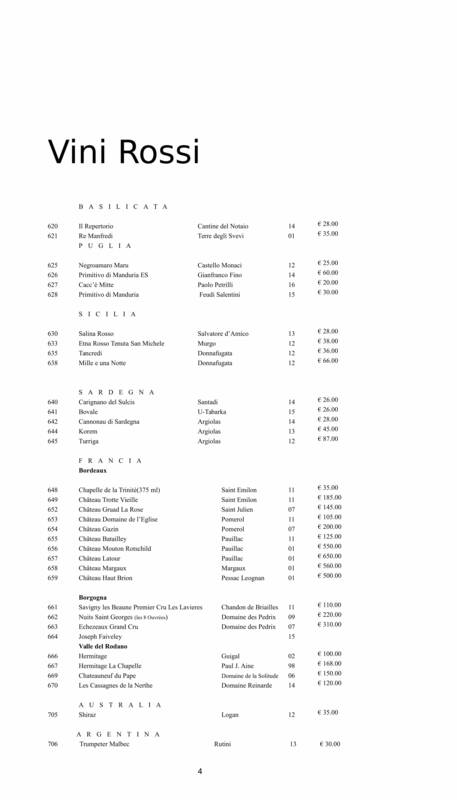 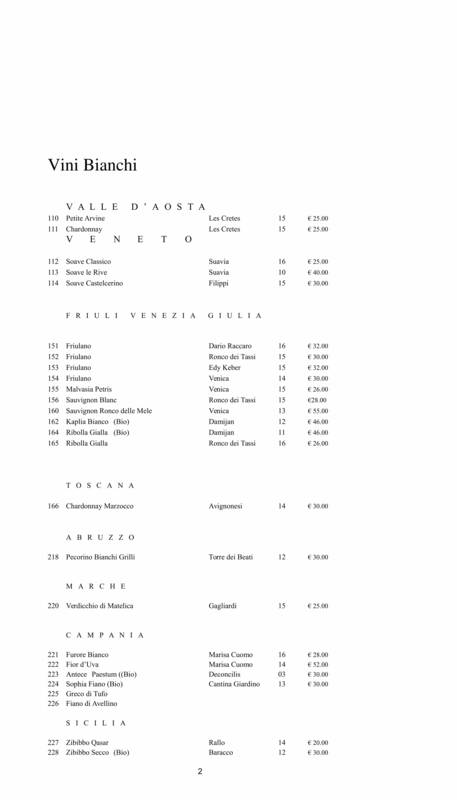 Our wine list is really vast and includes both Italian and foreign labels: from the most refined to the most expensive, we offer the possibility to taste just a glass of our wines. 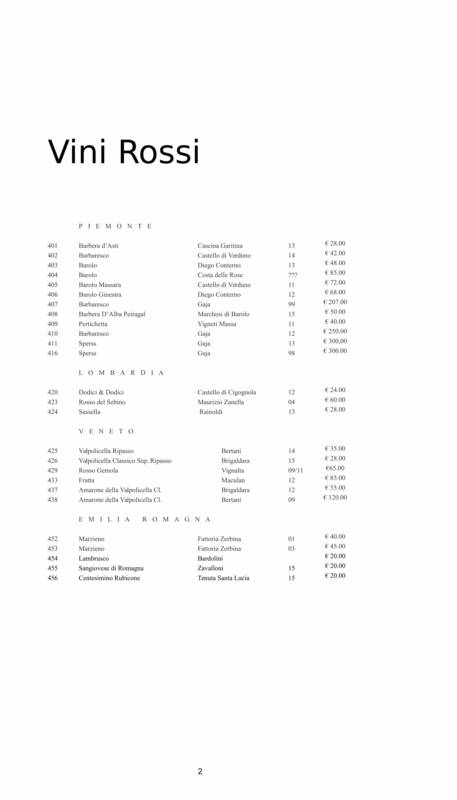 The tasting can take place either at the counter or sitting comfortably at the table: in any case, our Staff will always give you the best advice and offer interesting explanations. 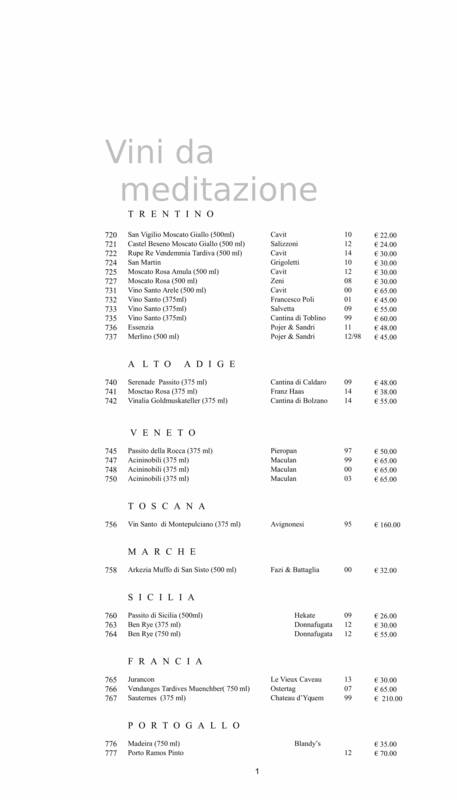 Visit our wine cellar and enjoy the possibility to have an aperitif with fine wines in the historical centre of Trento.